» Arc’teryx vs North Face in 2019: The Ultimate Jacket Line Battle! 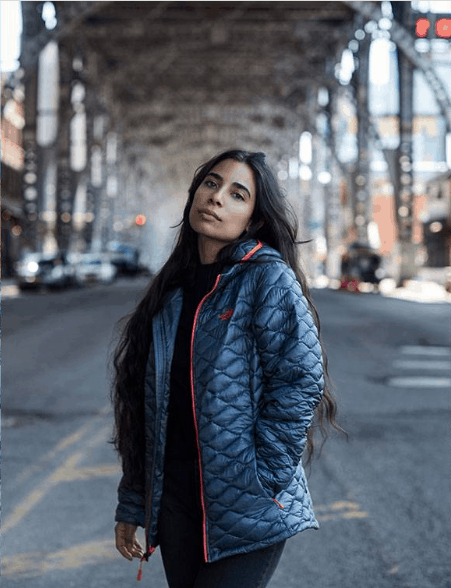 Arc’teryx vs North Face in 2019: The Ultimate Jacket Line Battle! 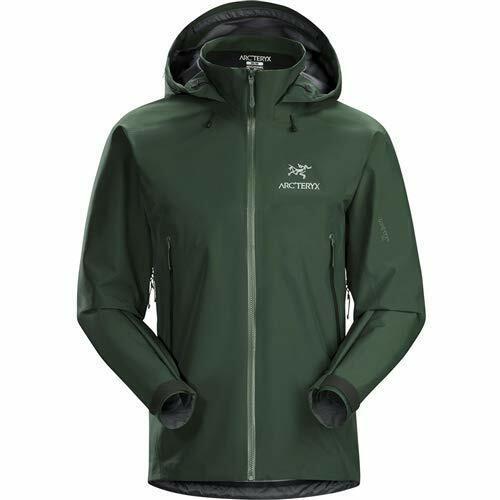 If you are looking for a top of the line, high-quality jacket, then both Arc’teryx and The North Face have a wide range of styles and choices for you. One thing to note is that while you can get jackets for the entire family with The North Face, Arc’teryx currently only features adult sizes and styles. Likewise, you have probably heard of The North Face before. This company has been around for a while and is a very popular brand for those seeking high-quality outdoor gear. However, unless you are a serious outdoor enthusiast, you have likely not heard of Arc’teryx. 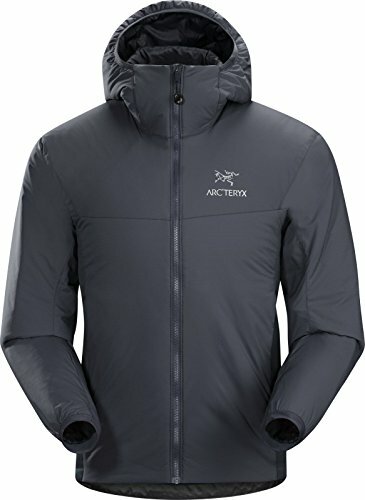 Conclusion: So is Arc’teryx Better Than North Face? Many people today do not know what type of jacket to go out searching for. If you are the type of person who will use something for multiple years and not worry about immediately changing styles or colors, then an Arc’teryx jacket might be a good choice for you. These jackets are very expensive but Arc’teryx is known for their devotion to quality and truly are a step above other brands. That step above does make the price of these jackets more than double what you would typically spend on a similar style of jacket. 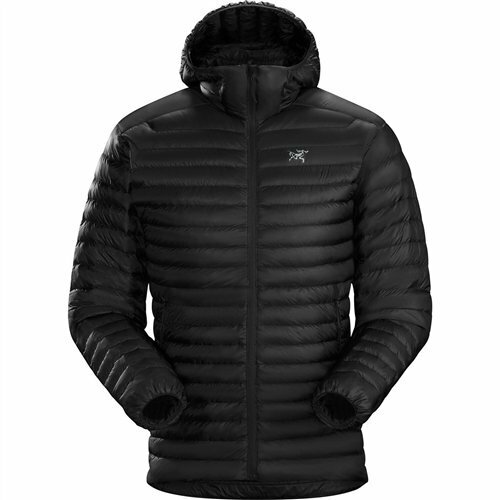 An Arc’teryx jacket is one that you will want to plan on wearing for many years to come. It is a high-quality jacket and one that is going to last you for a considerable number of years. I won’t lie to you. 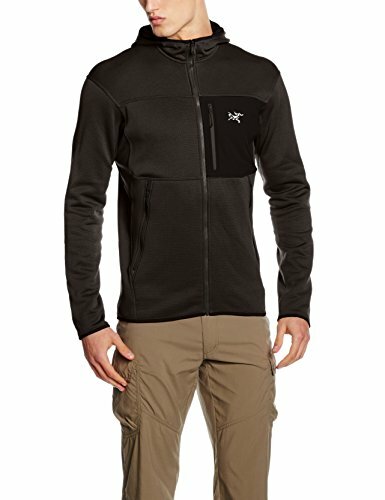 The first thing that you are going to notice when you are looking at the Arc’teryx brand is that the jackets are very expensive. Most people see the price tag and immediately walk away. While it might seem like a lot of money up front, in a few years you are going to be glad you made the investment when your jackets look and feel brand new after years of wear. 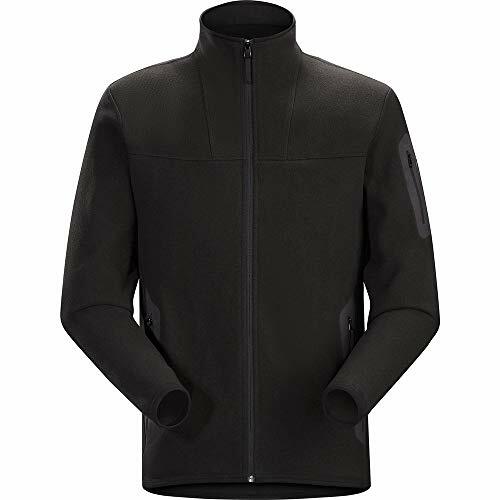 Additionally, on top of their regular line of jackets and products, Arc’teryx also produces a line for tactical and military use. This line is under the LEAF brand name. 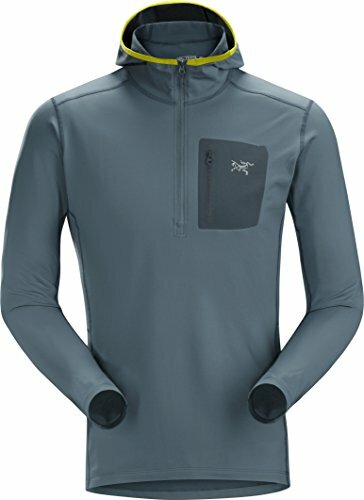 While jackets that come from The North Face are not cheap, they are considerably less expensive than their Arc’teryx counterpart. These jackets are a great quality and really worth the price. They even have jackets for your entire family, selling men, women, and children’s styles. This means that no matter what you are looking for or who you are looking for, The North Face will have a choice for you. Even if you are not the type of person to care about brand names, these jackets will make you a believer as they offer a variety of styles and options for everyone. People who have not previously owned jackets from the North Face might have a hard time understanding their appeal, but those who are fans will tell you that they love the jackets for their practical purposes. This means that they actually enjoy having a jacket that is going to be durable and that lasts for a long time. One thing that is nice about the children’s line of jackets is that they have a high resale value which means that you can get a lot of money back when you sell them and you can really find a high-quality children’s jacket that is going to last for years to come. The North Face offers a high-quality jacket that is a great alternative to the Arc’teryx for those who are unable to afford a jacket that costs so much. This is important to note because you are able to get a nice high-quality jacket for a fraction of the cost. It is important to note that these jackets do a great job of keeping you warm. As someone who is frequently cold, people are always shocked when I am wearing a lighter weight North Face jacket in the winter. I can get away with this because they are really warm. 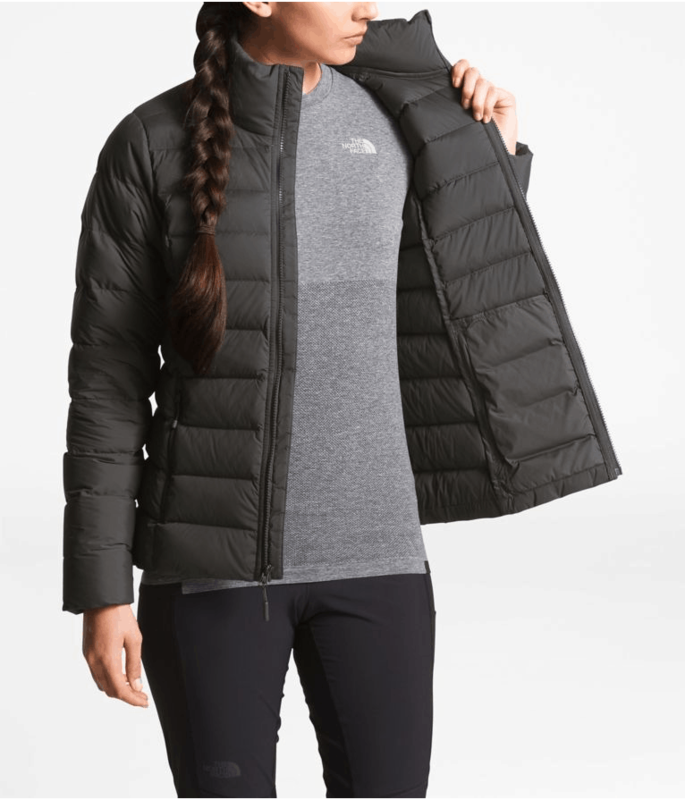 So, even if you are the type of person who typically is very cold in the winter elements, you will find that you can remain comfortably warm in one of the many styles of North Face branded jackets. If you own an Arc’teryx jacket then you already know that these are top of the line jackets. There are simply no other jackets on the market today that are as good as these and we do not foresee another company coming along and topping the quality that these have. They are amazingly well-constructed jackets that feature only top of the line materials and are stylish and functional. One big complaint is that if you have a family, there are no jackets for children. That being said, you can always pick the kids up jackets from The North Face and buy Arc’teryx jackets for yourself. The Arc’teryx company is based out of Canada. They are known for their dedication to high-quality pieces of outdoor clothing and sporting goods that will last you for years to come. The company was founded in 1989 in North Vancouver. The company is actually named after the Archaeopteryx which is one of the first species of birds that roamed the earth. Arc’teryx is like most athletic clothing brands. They started with one line of products in a specific niche. For Arc’teryx this niche was climbing. The company was originally named Rock Solid and sold a wide variety of different products that were geared towards climbing. The company’s name changed in 1990 as they strove to make products that were both evolutionary and innovative. The company utilizes a technology called thermolamination which is a unique way to use heat laminate. In 1993, the company expanded their line to include backpacks using that same technology. However, while they are most notably known for their jackets and clothing lines, these were not introduced until 1996 when the Gore-Tex fabric was first available to be used by them. Gore-Tex fabric comes from a company that is dedicated to offering high-quality materials to be used for the outdoors. In 1999 it was determined that the space that the company had was not enough. They needed to up their manufacturing game to accommodate all of the new products that they were developing and manufacturing. This is when they moved their headquarters to Burnaby. However, the company was not as happy with their headquarters there and in 2005, they moved back to North Vancouver. Today they have become industry leaders in producing high-quality gear for hiking, skiing, backpacking, snowboarding, and climbing. One thing to mention is that the original owner, David Guard actually ran the company from 1991 until 2001. It was in 2001 that the Salomon Group bought them out. This is actually a company that is owned by Adidas. Later in 2005, the company was again sold, this time to Amer Sports. Today the main headquarters remains in North Vancouver. While all of the products were previously only manufactured in Canada, a few years ago the production was moved globally. Today there are factories in Canada, the Philippines, China, Bangladesh, Vietnam, Greece, El Salvador, and Laos. Let’s face it, if you are just now checking out Arc’teryx jackets for the first time, you are probably experiencing some sticker shock. However, that does not mean that you are not going to be incredibly happy if you do end up choosing one of these high quality and impressive jackets. They really are jackets that are built to last for years to come. These are jackets that are designed with quality in mind. They actually allow for you to have a great looking jacket that is going to be functional. Have you ever bought a super nice jacket that you loved how it looked, only to find out that it did not keep you warm in the winter? Well, this is not a problem that you will ever have with a jacket from Arc’teryx. One of our most loved features of the jacket is that they are very lightweight and easily packable. You can literally throw them into any bag and take them anywhere with you. We never leave home without our Arc’teryx jackets. There are even features that you are probably not going to notice for a while. Plus, you are able to have a jacket that is never bulky which is great for those of us who hate wearing something that makes us feel thicker. While many of these features might be things that you have seen before, it is almost certain that they were actually engineered and created by Arc’teryx. 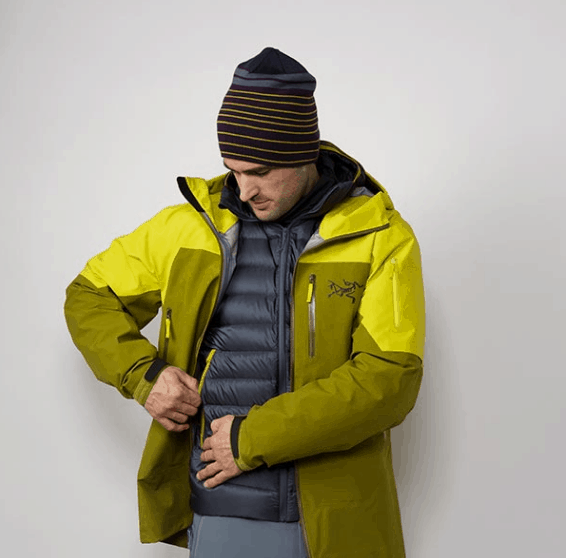 Arc’teryx uses many different materials in manufacturing. Obviously, we cannot post them all but we can share with you the main ones that deserve some attention. One of the materials that Arc’teryx uses is Gore-Tex. This is a nice high-quality fabric that is basically a waterproof fleece. 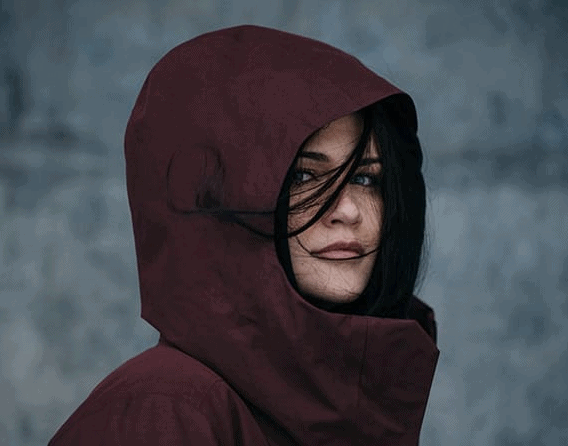 The company works with manufacturers to help with finding high-quality materials that help build any jackets so that they are built for the weather. The company uses a very thin waterproof tape over the seams. This is a way that they keep the jacket’s lightweight without ruining their ability to be weatherproof. 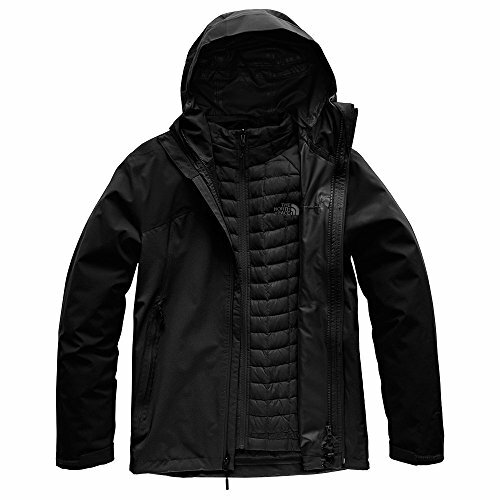 The Arc’teryx jacket offers amazing style. You will love wearing it because how well it works in all weather conditions and you will appreciate that you look good when wearing it. In addition, the same details have been given to the appearance. This means that you are going to love all of the features and how the jacket looks. The jackets are tailored to make you look long and lean. There are going to be those who ignore our suggestion to save up money and splurge on an Arc’teryx jacket. However, I can assure you that if you choose to purchase one, you are not going to be disappointed. You are going to be happy with the jacket and are going to be able to wear it for years to come. We have been nothing but impressed with the overall quality and style of these jackets. One thing to remember is that you might not notice the difference in this jacket and other nicer jackets when you are in the store. The biggest differences are those that you can not see immediately when trying on a jacket. Instead, the differences become more apparent later. This is because your new jacket is going to stay looking new for years to come. 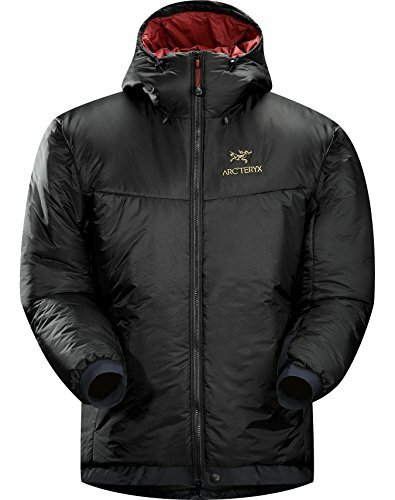 There are some different styles of jacket that are offered by Arc’teryx. These are the Shell Jackets, Insulated Jackets, the Mid-Layer and Fleece Jackets, and the Base Layer. Here are just a few of our favorites from their very expansive line. The Beta LT Jacket is a beautiful jacket that is currently available in five different colors: Neptune, Light Hecate, Black, Flare, and Canyon. The jacket is available in sizes small, medium, large, and extra large. This means that most people will be able to find their size. This jacket has all of the quality that we have been talking about and is available for $525.00. When you consider that you will get more than ten years of use with this one, you end up paying far less than what a cheap jacket would cost every year. The Sidewinder Jacket is a longer style. We chose to feature a longer style as these are perfect for those of you who might be a little on the taller side. These jackets have all of the high-quality details that you would expect. You can purchase them for $749 (Check out the latest rates here). They come in three different colors, which are: Red Beach, Olive Amber, and Tui. They are perfect for hitting the slopes or just running around in the frigid winter months. For those of you who live in colder climates, this is a jacket that will not disappoint and you can add layers to make it warmer. This jacket only comes in four sizes though, including small, medium, large, and extra large. 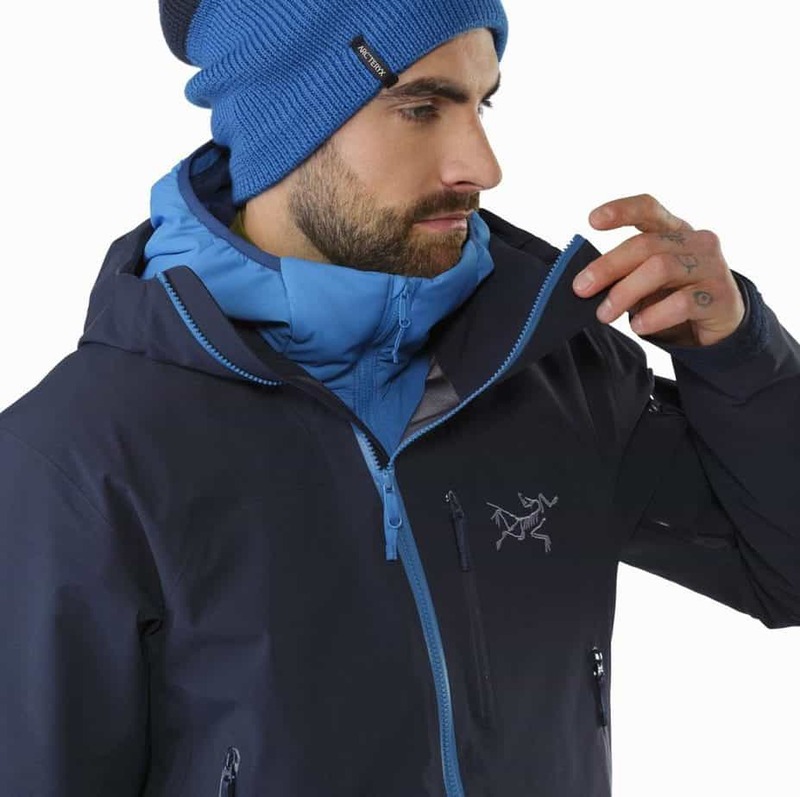 The Cerium SL Hoody is a nicely insulated coat. It is filled with down insulation. You can actually use this coat as a mid-layer with a shell jacket on top, or you can use it alone as a stand-alone coat. It is is a high-quality piece that is going to keep you warm on its own and when you use it as a layer, you are never going to feel cold again. This coat comes in four different colors including Triton, Pilot, Lichen, and Black. 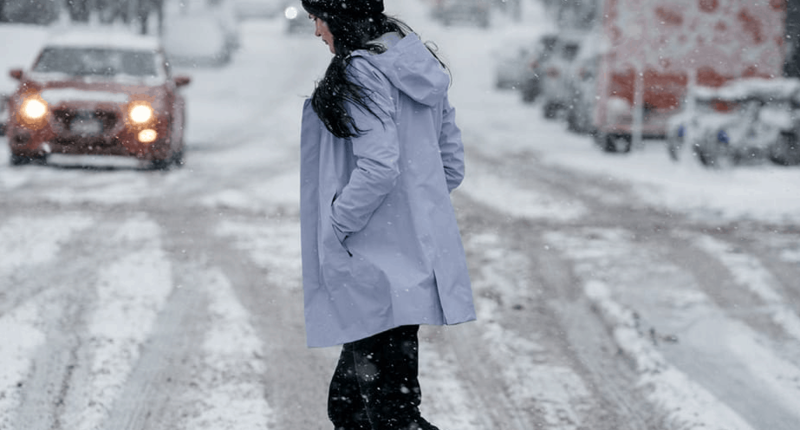 The coat comes available in five sizes: small, medium, large, extra large and 2XL. This is a great choice for someone who wants to be warm during the high-mountain winters. This jacket retails for $349 (Check out the latest rates here). The Dually Belay Parka is a unique jacket. This jacket is insulated with two layers of ThermaTek. This provides you with a warmth that you are not going to have with other materials. In fact, if you are wet or damp, this jacket is still going to keep you warm. That is pretty impressive when you think about it. The jacket retails for $625 (Check out the latest rates here), is available in four sizes and one color. The Dallen Fleece Hoody is a high-quality hoody. It is a nice lightweight fleece that packs a huge punch when keeping you warm. 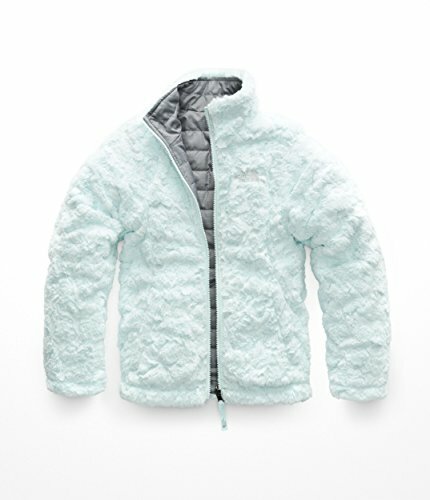 The fleece retails for $149 (Check out the latest rates here!) which is a comparable price to other high-quality and weatherproof fleece. It is available in four colors and five sizes for the perfect style and fit for everyone. The Covert Cardigan is another high-quality mid-layer jackets that are made by Arc’teryx. These jackets are nice and soft and easily usable for anyone. They work perfectly as a base layer for keeping you warm. They come in seven sizes: extra small, small, medium, large, extra large, 2XL, and 3XL. They retail for $179 (Check out the latest rates here!). Their unique feature is that they are soft and comfortable like fleece, but incredibly warm like a wool jacket. They truly offer you the best of all worlds. 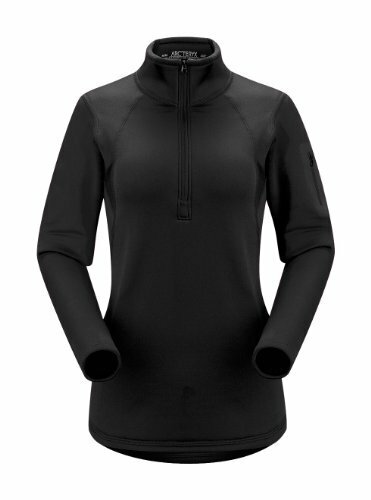 The RHO AR Zip Neck is the perfect base layer. It is made from a material that will wick away moisture, allow your skin to breathe, and keep you warm at the same time. This means that you never have to worry about being active and sweating and ending up feeling crappy while wearing this jacket. This base layer retails for $145 (Check out the latest rates here!) and is available in five colors and five sizes. The Stryka Hoody is the perfect addition to any wardrobe. It costs just $119 and is available in three lovely colors. It also comes in four basic sizes. You will find that it is a nice warm layer and a hoodie that you will love to wear year round. It is slim fitting and offers a number of features that make it one of the warmest choices that you can find today in a single hoody. The Beta AR Jacket is a great shell jacket if you are looking. One of the things that you are going to love about this one is that it is featured in a flattering and classic style for women. Likewise, the jacket has five colors to choose from and you can purchase it in five different sizes. You can purchase in extra small, small, medium, large, and extra large. You can choose from Zaffre, Titanite, Black, Black Sapphire II, and Pomegranate. It retails for $575 (Check out the latest rates here!). The Sentinel LT Jacket is truly the jacket of your dreams. This is the perfect jacket for any lady in your life. It features the weatherproof Gore-Tex. There are four colors available for this one and it has five sizes to choose from. The longer style is not only flattering, but it also will work to keep more of your body warm. It retails for $649 (Check out the latest rates here!). The Cerium SL Hoody is a nicely insulated down jacket that is sure to keep you warm regardless of the weather around you. If you are worried about the overall conditions, you can use this one as a mid-layer to help keep you even warmer. It retails for $349 (Check out the latest rates here!) and has five sizes and three colors to choose from. 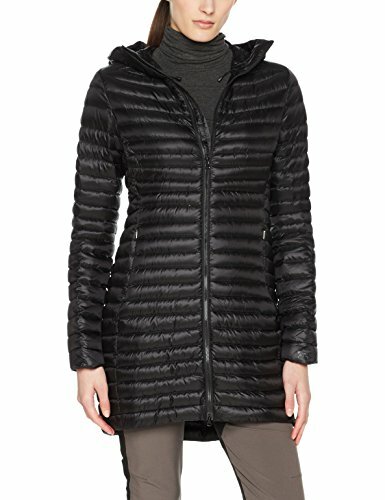 Have you ever struggled to find a coat that helps your entire body to stay warm? If you answered yes then the Nuri coat is the exact coat that you have been dreaming of. Its long style features a great way to stay warm and stay protected from all elements. It is available in three colors and five sizes for just $399 (Check out the latest rates here!). 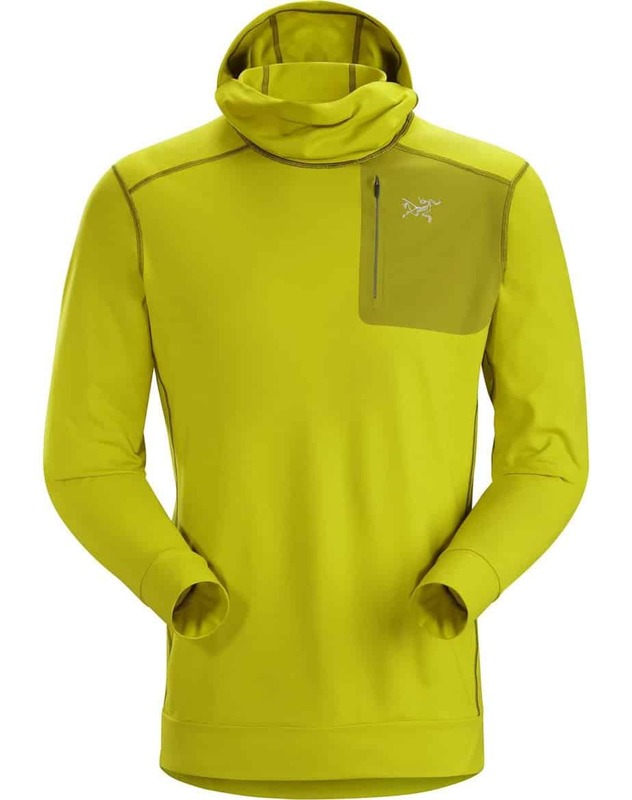 The Atom LT Hoody is a nice insulated base layer. It is lightweight and breathable. While it can function as a standalone jacket, it is really made with the intention of being a mid-layer for those extreme cold conditions. It retails for $259 (Check out the latest rates here!). There are actually eight different colors that you can pick from and comes in five different sizes. The Fortrez Hoody is another breathable fleece mid-layer. This jacket is very nice and one that you are really going to love. Our favorite thing is that it is a weatherproof fleece. It comes in three color choices and five sizes. It has a longer cut which helps to protect you from more of the elements and helps to keep you warm. 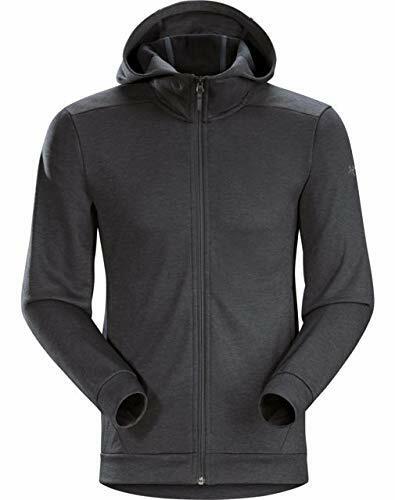 The RHO LT Hooded Zip Neck is a great choice as a base layer. This is one that is going to keep you warm without making you feel hot and sweaty. This is part of what makes it a great base layer. Users love the tunic length style that is classic enough to wear for years to come and trendy enough to be worn currently. This one retails for $139 (Check out the latest rates here! ), comes in your choice of three colors, and is available in five different sizes. The Vertices Hoody is another one that you will literally live in. This hoodie is high in quality, keeps you warm, and is going to offer you comfortable protection from the cold. It comes in three colors and four sizes and is available for $119 (Check out the latest rates here!Check out the latest rates here!). Our overall impression is VERY positive when it comes to Arc’teryx jackets. They are high in quality and design. They keep you very warm and they allow for you to have a choice in how you will layer them which allows for you to easily layer for additional warmth. One of the most popular brands for US jackets and outerwear is The North Face. Their products are available for the entire family and they have been rising in popularity each year. Not only are they great long lasting products for adults, but they also offer high-quality, long-lasting products for children. The North Face is a US-based company that produces a high-quality line of outdoor wear. Their clothing, most notably their jackets, is high in quality and leaves you happy with the purchase that you made. 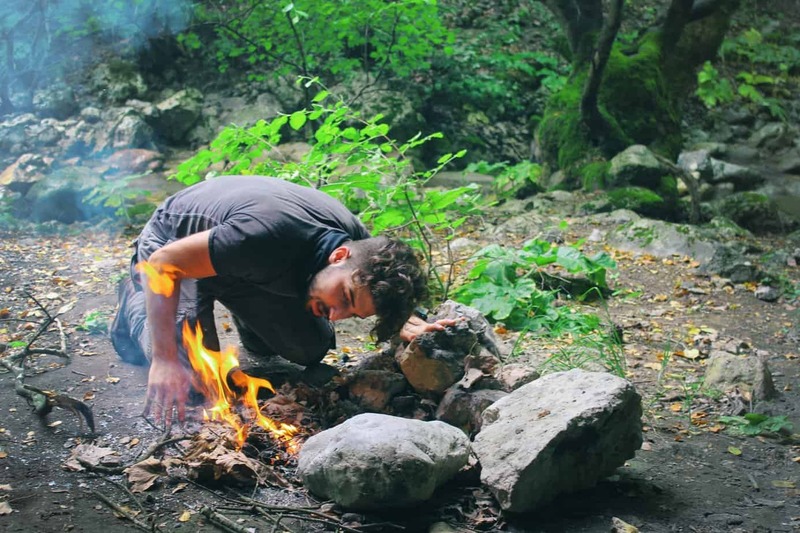 In addition to outerwear and clothing, the company produces a line of high-quality tents, backpacks, sleeping bags, and outdoor equipment. The clothing is a top choice for those who love to be in the outdoors. In 1966, Douglas Tompkins and his wife (at the time, the couple has since divorced) Susie Tompkins started the company based out of San Francisco. Two years later, the company was sold to Kenneth Klopp who has the nickname “Hap”. In the beginning, the store was offering very selective merchandise that pertained to climbers and/or backpackers. During the 1980s, The North Face switched gears a bit and started developing products for skiers. They are currently owned by the VF Corporation whose headquarters are in Alameda, California. They are a sister company to JanSport. The North Face and has the same logo since 1971. If you have never owned a jacket from The North Face before, you cannot grasp what you are missing. These jackets are truly in a league of their own. 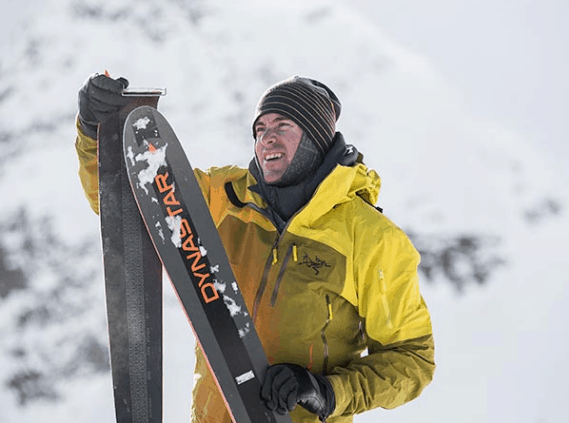 One of the things that continue to surprise and excite wearers is that they are made to be very lightweight and very warm at the same time, featuring a great heat-to-weight ratio. They are a nice high-quality jacket that is completely different than what you might see anywhere else. They are available for everyone regardless of age and need. You will be able to find what you want for your entire family which is one of the things that keeps families coming back to The North Face time and time again. Parents rave about the longevity of the jackets and love that they still look new even after years of use. The North Face markets jackets to men, women, boys, and girls. Here are a few of our favorites in each category and from each style of jacket that they make. 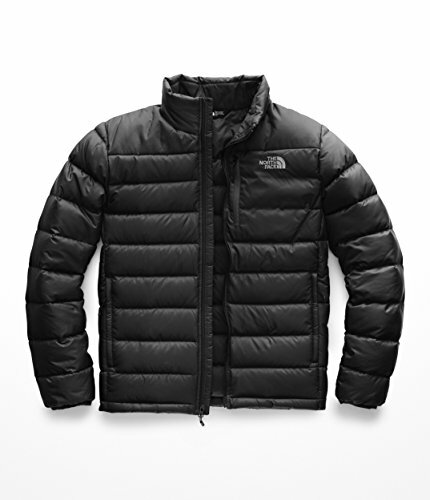 The North Face offers ninety-nine current styles of insulated and down jackets for a man to choose from. There are so many choices that it can be hard to narrow it down. Here is our personal favorite from this category. 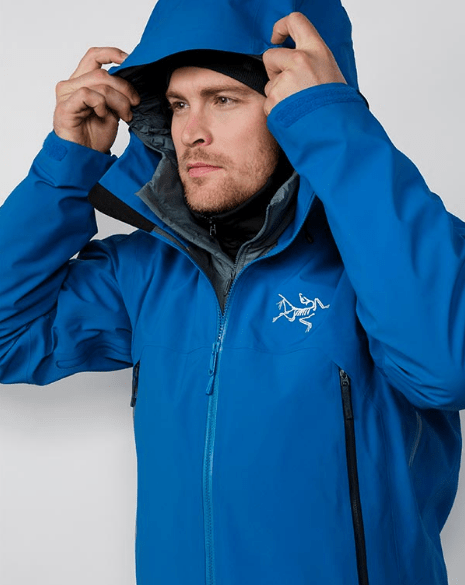 The Men’s Aconcagua Jacket comes in five different sizes, which are small, medium, large, extra large, and 2XL. 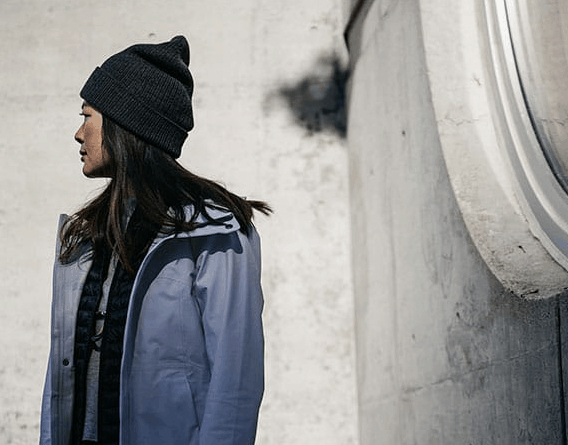 This jacket is filled with a goose down and is currently available in five different colors which include: botanical garden green, mid-grey, asphalt grey, TNF black, and shady blue. This jacket is very lightweight and not too puffy for the perfect fit. There are actually twenty-seven different styles of fleece jacket for men from The North Face. TheMen’s Glacier Alpine Jacket is a super high-quality fleece jacket. This jacket is one of the reasons that so many people fall in love with the brand. It retails for $70 and comes in a wide range of colors. There are actually currently ten colors to choose from on the website. It is available in five sizes as well. 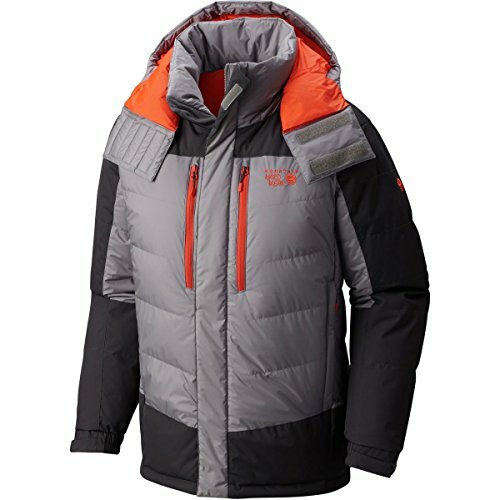 The 3 in 1 Jacket from The North Face are very popular. These jackets include a heavy outer layer jacket. This can be worn alone for one style. Then there is a thinner shell or fleece jacket. This too can be worn alone. For the third style, you can pair the two together. The Men’s ThermoBall Triclimate Jacket is our personal favorite. Not only does this jacket feature the deluxe waterproof shell, but it also has a ThermoBall fill jacket for the inside. This jacket is high in quality and style and both layers can keep you warm on their own. You will love the six colors and five sizes that you can choose from. Plus, the $299 (Check out the latest rates here!) price tag is not bad when you consider that you are getting two coats for that. 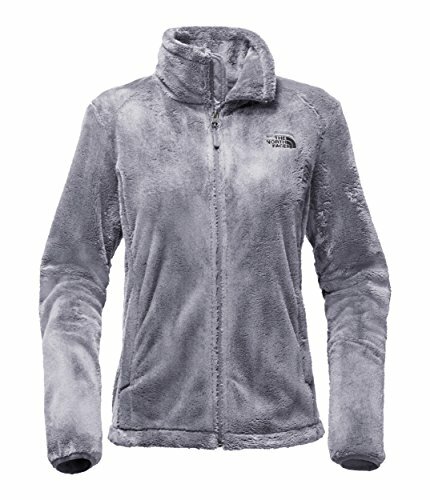 There are actually one hundred and fifteen different choices of insulated jackets from The North Face for women. Each one of these is guaranteed to keep you warm and make you fall in love with the brand. The Women’s Stretch Down Hoodie is the insulated coat of your dreams. It features a down fill which will keep you very warm. It also has a unique stretch styling which allows for you to have a fitted coat that is going to move with you no matter what your activity level is. The jacket retails for $249, comes in five colors and the five basic sizes. The Women’s Osito 2 Jacket is the follow-up and improved design to the Osito Jacket. This is one of the most popular choices for anyone who is looking for a great fleece. The reason that this is so popular is that it features a very soft and luscious fleece that you are going to love snuggling up in. There are currently nine available colors and six available sizes that you can get this jacket in. The Osito runs $99 (Check out the latest rates here!). The Women’s Osito Triclimate is a great choice for anyone who wants an Osito fleece and a great winter coat at the same time. This offers both for the low price of $260 (Check out the latest rates here!). It is offered in five colors and six sizes. You will find that you are getting the best of both worlds with a weather-proof fleece and a great high-quality outer shell that you can wear over the fleece or on its own. 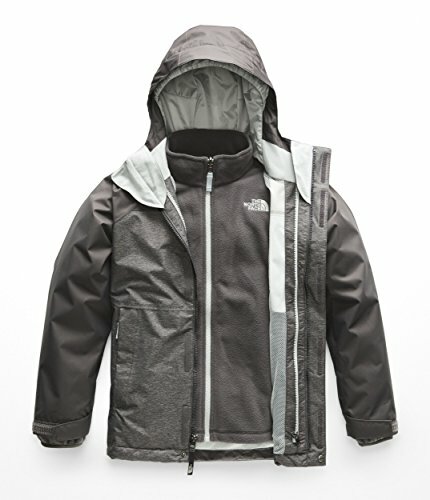 Little boys need a jacket that is going to hold up to their busy lifestyle while offering full protection from the elements. The North Face delivers just that. The Boys’ Vortex Triclimate is a great choice for any little man. 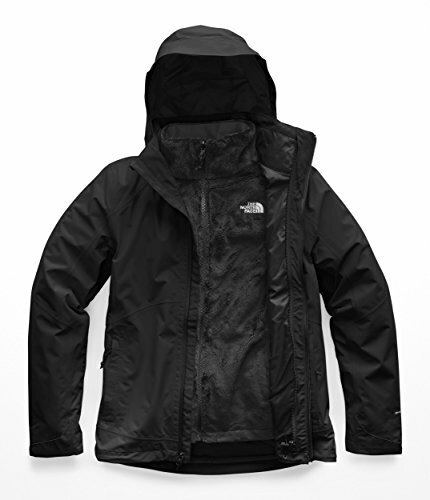 This jacket features that nice sturdy outer layer that you can come to expect with The North Face. It also has a nice fleece mid layer that is included. The jacket retails for $140 (Check out the latest rates here!) and comes in sizes 2X small, extra small, small, medium, large, and extra large. There are currently three colors that are available. Every little girl wants a jacket that is going to keep her warm and look stylish while doing so. 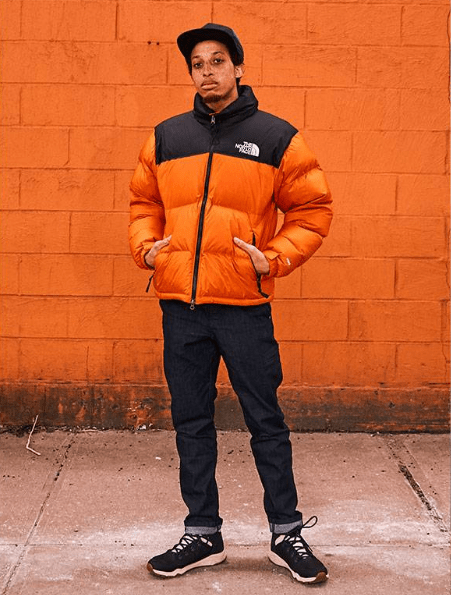 Thankfully The North Face delivers with their line of innovative, stylish, and warm jackets that are made with the highest attention to quality. The Girls Reversible Mossbud Swirl Jacket is a jacket that is going to please girls and parents alike. This one features a nice soft fur like inside that can be swapped to be the outside. The other side is a nice waterproof material. This jacket is super high in quality and is a great choice for anyone who has a little girl that often wants to change her style. This one retails for $110 (Check out the latest rates here! ), comes in eight different colors and six different sizes. Our overall impression of The North Face jackets is very favorable. These jackets are a great quality that is available for a reasonable amount of money. You will love the quality and style that The North Face jackets offer you while keeping you warm. It was honestly tough to pick an overall winner between these two brands. With that being said, we had to give it to Arc’teryx. With phenomenal quality, a diverse selection and a reputation that proceeds itself time and time again, Arc’teryx is simply a step above the rest. We have tested both brands and we love both brands, but Arc’teryx never fails to deliver incredible quality, and when you are in seriously harsh conditions, quality is totally priceless. Which brand do you prefer? We would love to hear your opinion!